When and where will I be able to buy TWP deck stains? I live in Toronto Canada. Would appreciate your input. Thanks. No dealers in Canada but we can ship the TWP 200 Series to you. Where can I buy this product in the Greater Toronto Ontario area? Are you still on schedule for April delivery? Do you have any shipping estimates yet for 1gallon or 5gallon size to Toronto, Ontario Canada? I am looking for an natural toned oil product to preserve my deck size 15x20feet. Are any of your stains approved for delivery to Canada? Thanks. The TWP 900 Series will not be available this year and has been delayed by the govenment. We will be offering the [url=/twp-200-series-5-gallon]TWP 200 Series[/url] starting April 2017 to be shipped to Canada! Are your deck stains available in Canada yet? Details please. They are not. We will be shipping the TWP 200 Series to Canada starting Spring 2017. You will need to order from this website and have it delivered direct to your door. Any idea when TWP might be available in Canada? Waiting on the Government to approve the formula. They do not seem to be in a rush. Do you have any stores in Canada, Vancouver BC area that carry your product. TWP is not allowed yet in Canada. today is Aug 3, 2016. Is product available in Alberta, Canada yet? Sorry, but not yet. Canada government has delayed approval. 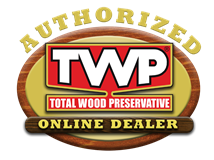 Are twp wood stains and related wood care products available in Toronto, Ontario, Canada now? Are your products available in Nova Scotia yet ?? Where?